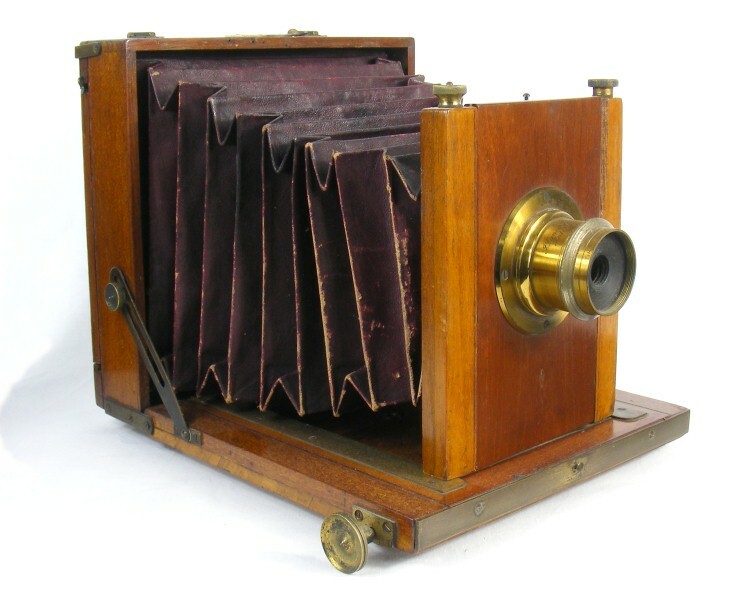 Construction: Conventional English style field camera, with through bolts to clamp the lens standard in position. Mahogany and brass, with simple comb joints. 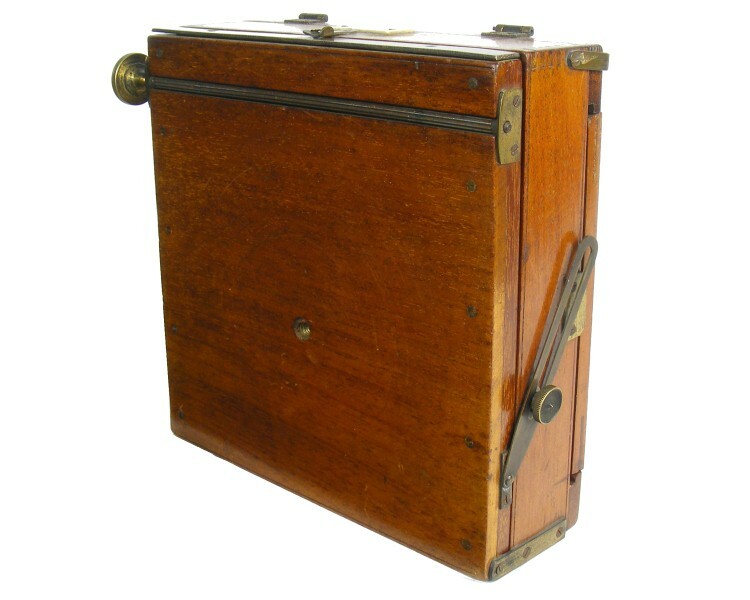 The "Tourist" by John Piggott is an early English field camera, but of quite basic design. It has a rising front, tilting and reversible back only. 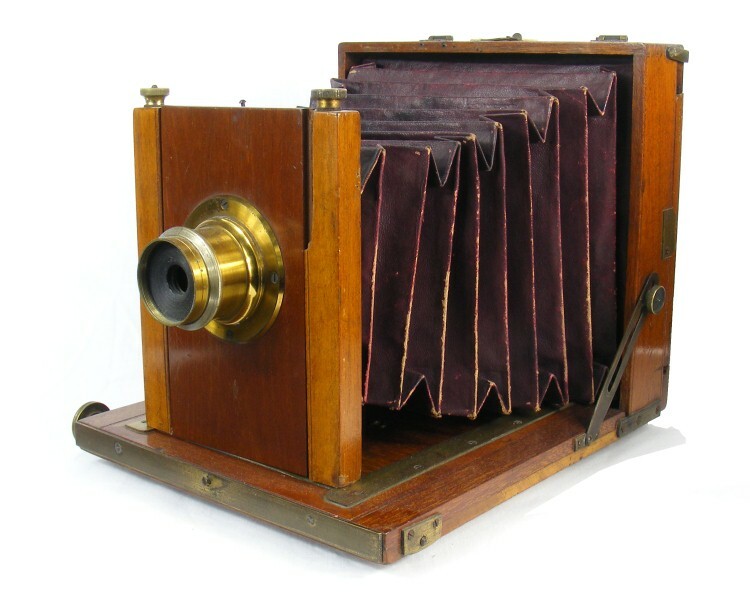 The camera has a mahogany body, with simple comb joints. 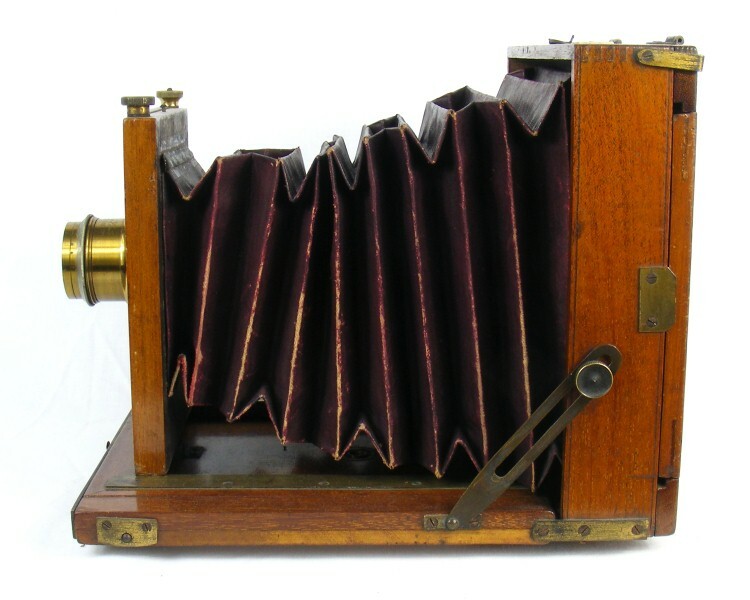 Red leather bellows, double extension. The bellows have some damage through age, and wear and tear. Rack and pinion focusing, with straight cut pinion. 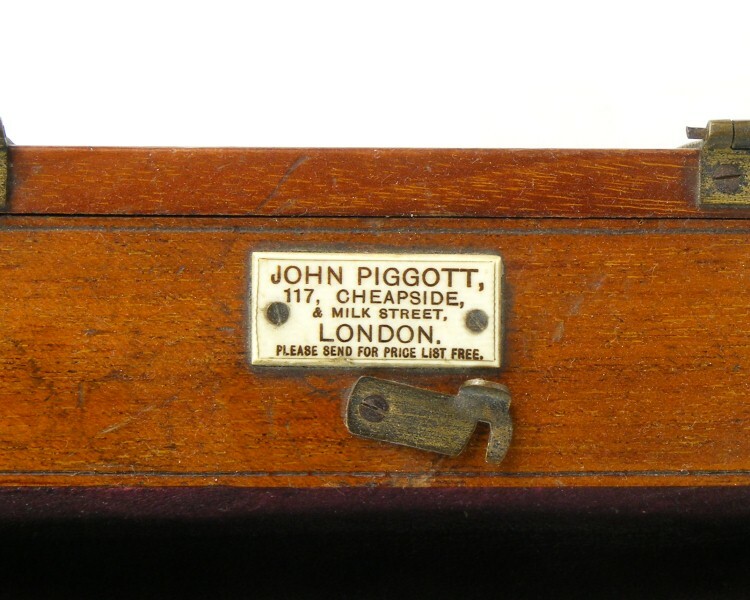 The label on the top face identifies the maker and gives the address as 117 Cheapside & Milk Street. 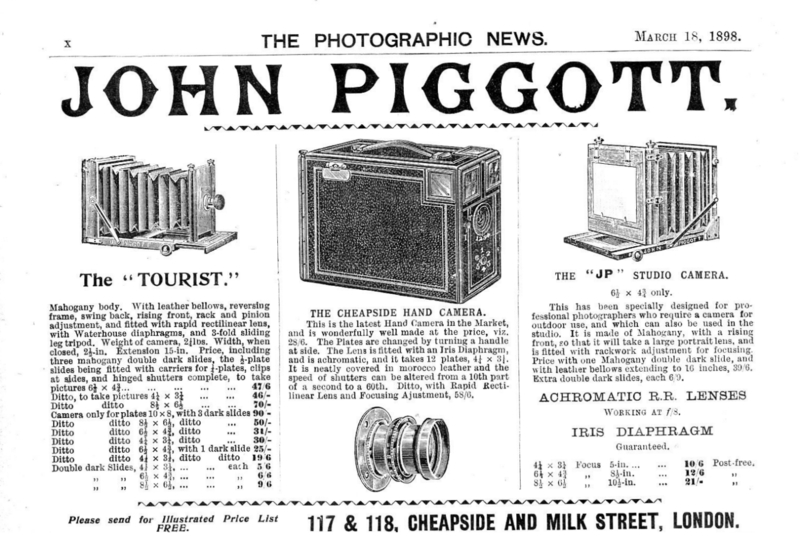 The camera has been identified by name from a Piggott advert in the Photographic News March 1898. 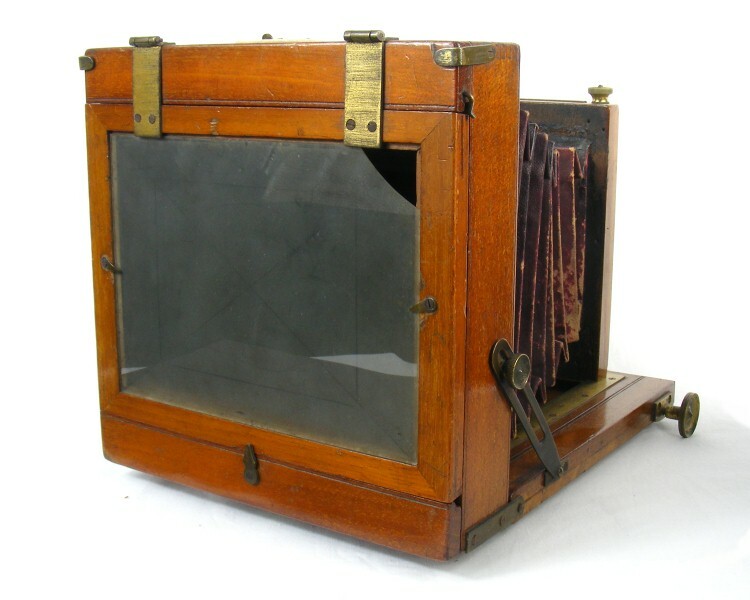 The Lancaster lens appears to be an original fit to the panel. There is no serial number on the lens. 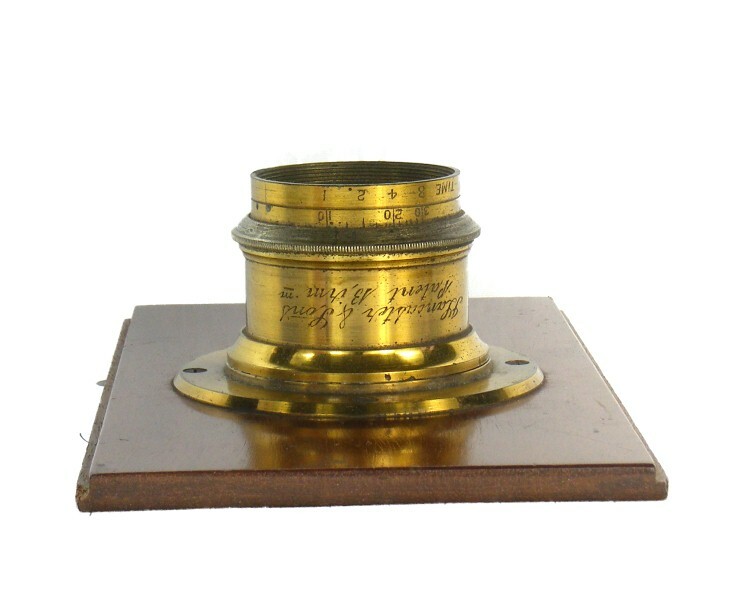 The aperture ring, is marked with f numbers 10, 20, 30 with a second set of markings alongside, but labelled "TIME", with values 1, 2, 4, 8. 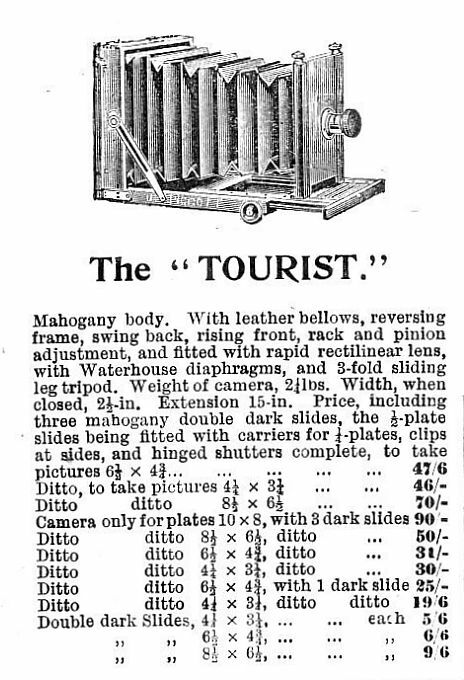 The advert on the left is taken from the Photographic News of 18 March, 1898 and shows the "Tourist" camera. 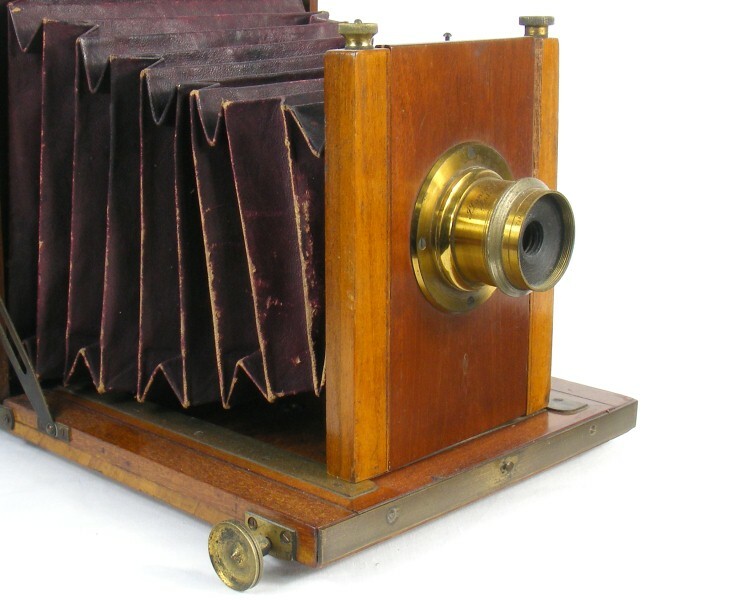 The price list shows that the camera was available in a four different sizes, from ¼ plate to 10 x 8, although to date I have only encountered the camera in ½ plate size. (Click on thumbnail to open a larger version. Use back button to return to this page).